State Rep. Joe Hohenstein is sponsoring the third CORA community conversation focusing on addiction and treatment, where attendees will receive information and be personally trained to administer Narcan. When state Rep. Joe Hohenstein knocked on neighborhood doors during his campaign for office, the residents made it clear which issues are impacting the area. “Every single night somebody would tell me about a family member or somebody close to them dying,” he said. He was referring to the opioid epidemic’s impact on his area. “I just want that to stop,” he said. 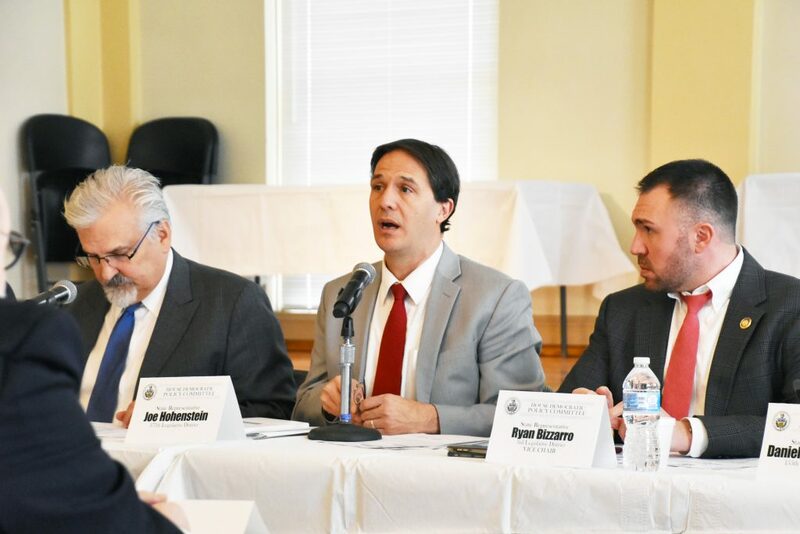 Since taking office about three months ago, Hohenstein hosted a hearing about the intersection of opioid treatment and mental health at Friends Hospital, and next week will host an event with CORA Community Services that will cover similar topics. The meeting will be the third entry in CORA’s kNOw Drugs in the Northeast community conversation series. The meeting will feature hands-on Narcan training with Narcan kits being distributed to those who participate, updates on the Philadelphia Resilience Project and more. The meeting will be hosted at the Bridesburg Recreation Center at 4601 Richmond St. on April 16 from 7 to 9 p.m.
Presenters include the Blue Cross Foundation with an update on Project STOP, its initiative to increase awareness and access to community-based opioid treatment and prevention; an update on the Philadelphia Resilience Project, which is an effort that brought together 35 city departments under Mayor Kenney’s state of emergency declaration to serve the comprehensive needs of the people who lived in the encampments in Kensington; and a presentation from the Council of Southeast Pennsylvania Inc. on how to properly administer Narcan. Independence Blue Cross will also give a presentation about its Someone You Know campaign, which aims to use positive storytelling to address the stigma of opioid use disorder. The meeting will also feature “listening stations,” where people will be able to view life-sized pictures of people and listen to their stories through headsets. Attendees will be able to walk around before and after the discussion to listen to the stories and receive personalized training on Narcan distribution. “Anyone in the community who has a concern about substance abuse of all kinds will benefit from this event,” said Mary Doherty of CORA, adding they will discuss all kinds of substance abuse and not just opioids. For Hohenstein, events such as this are important for making long-term changes to the way the city and state currently handle addiction treatment. “If all we’re doing is giving people short-term treatment, we can’t expect them to have long-term recovery,” Hohenstein said. He compared the way most treatment is now to giving a cancer patient just one dose of chemotherapy and expecting them to be cured. Hohenstein described ideal treatment as including intensive inpatient care and therapy, continued tests and follow-ups for three to five years and backup support for the families who are also impacted. “People say we can’t afford that, and I’m thinking to myself, we can’t afford not to. The disintegration of our neighborhoods is the result,” he said. Everyone benefits from expanded treatment, Hohenstein said. “The end goal of all of this is to have neighborhoods where kids can walk to school safely, where our families can spend times in playgrounds and parks without worry, and where people aren’t dying on the street and dying in their homes,” Hohenstein said.